DISCLOSURE: I received free products from Moms Meet to facilitate this review. All opinions are my own. We have a very busy household. With work, the kids' school, the kids' extracurricular activities, and just general household upkeep, we don't always have the time to make sure everyone is eating right. There have been too many days where my lunch has consisted of random snacks, or worse, sometimes just candy. 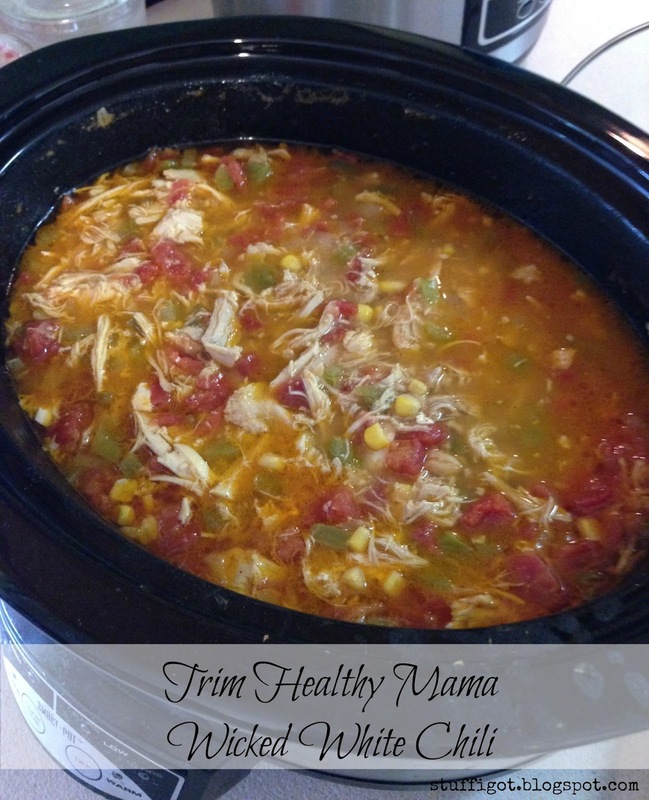 Thanks to Moms Meet, I recently had the chance to check out the Trim Healthy Mama Plan. While I'm not looking to lose any weight (if anything, I probably need to gain some weight), I was hoping to find some easy healthy recipes to make for my family. When I told my one sister about being selected to review the Trim Healthy Mama Plan, she right away requested to be at the sampling. She has been trying to eat healthier for over a year now and has tried everything from trying paleo diets to staying away from gluten and dairy. I also invited other family members, though only my parents were able to come by. 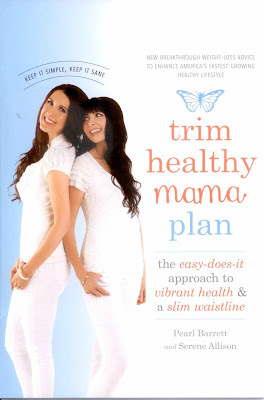 The Trim Healthy Mama Plan was developed by sisters, Pearl Barrett and Serene Allison. Basically, rather than restricting certain foods or calories, the Trim Healthy Mama Plan focuses on fueling your body every three to four hours. The plan involves mixing up Satisfying (S) meals, Energizing (E) meals and Fuel Pull (FP) foods. Satisfying meals focus on foods with fat and Energizing meals focus on foods with carbs. Every meal starts with a protein and is rounded out with Fuel Pulls, or foods like non-starchy veggies, berries and certain lean forms of meats and dairy. For our sampling, I decided I would make two things from the Trim Healthy Mama Cookbook. I chose a main dish and a side. Since I'm not the greatest cook, I flipped through the book to find recipes that were easy to make and ones that didn't require me going out and buying special ingredients. Some of the recipes in the Trim Healthy Mama Cookbook do call for ingredients that you may not readily find in your regular grocery store, like Integral Collagen and Xylitol. 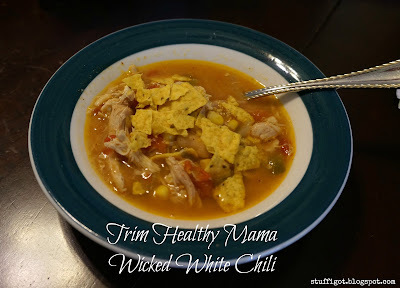 Trim Healthy Mama does have their own line of products that they use in some of their recipes that can be purchased from their website. For the main dish, I chose to make Wicked White Chili. 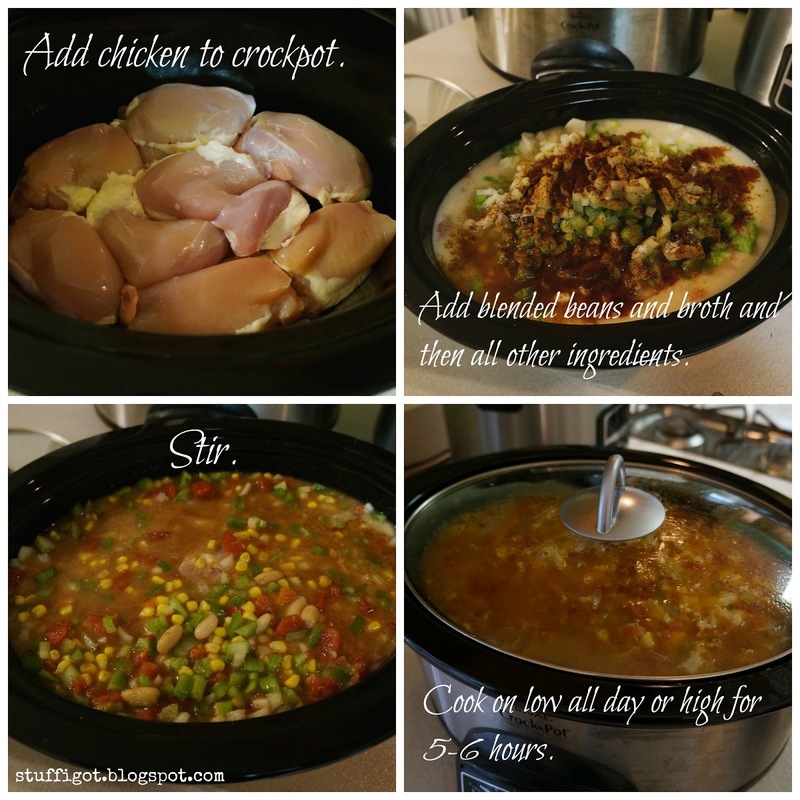 It's something that I could prepare in a slow cooker and it made a lot. I did make some substitutions to the recipe, since I wasn't able to find some things. I used chicken thighs instead of breasts, because that's what I had on hand. I only used 3 cans of beans, because my tummy can't handle too many beans! And I used fresh onion, celery and green pepper because I couldn't find the Seasoning Blend. The chili was really good! I opted to crumble some tortilla chips on top of the chili. My parents and my sister were surprised it was so good, being something from a "diet" cookbook. My Dad even found a recipe in the cookbook that he wanted to try, so he took a sample recipe card home with him. 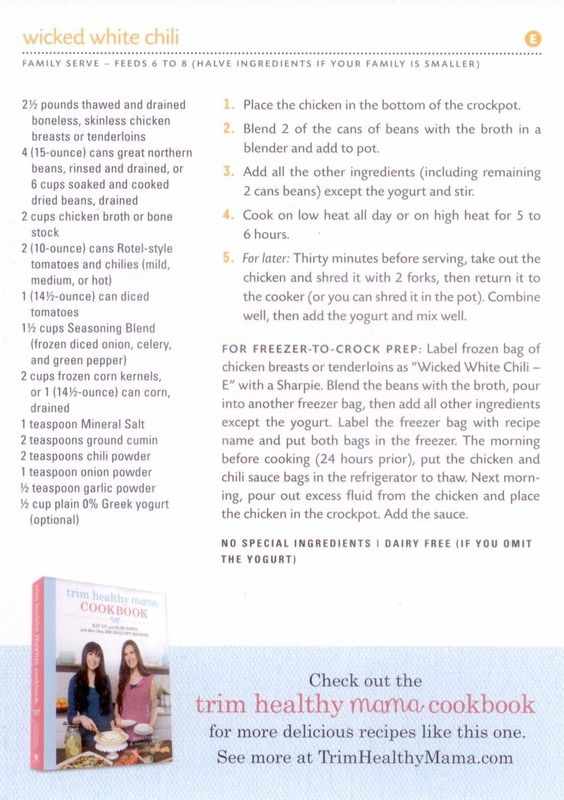 My sister took the extra Trim Healthy Mama cookbook that I had. For my side, I made the Quinoa Salad. It's a Family Serve sized meal, feeding 6-8 people, and counts as an Energizing meal. I also had to make some substitutions for the recipe. 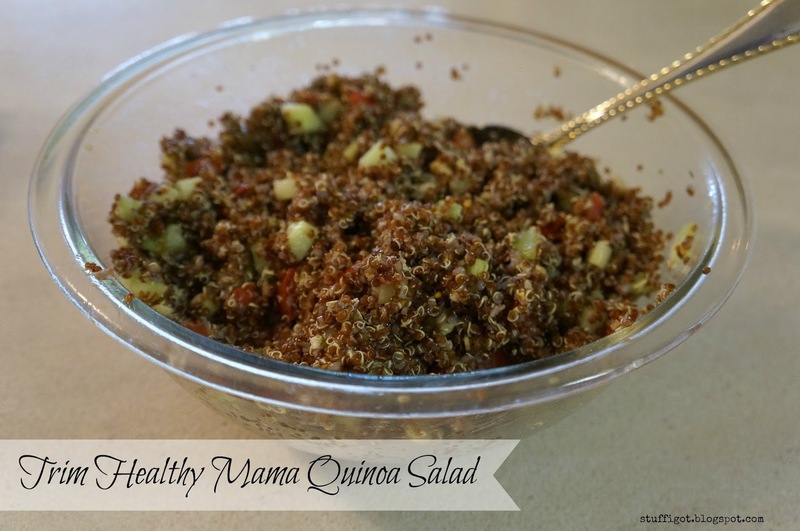 I was only able to find red quinoa and I didn't have any fresh herbs on hand, so I used dry. I think if I made this again, I would add some diced red onion for more flavor. My Mom, who had never heard of quinoa before, was a little hesitant to try it. My sister wanted to add some hot sauce to it. 1. 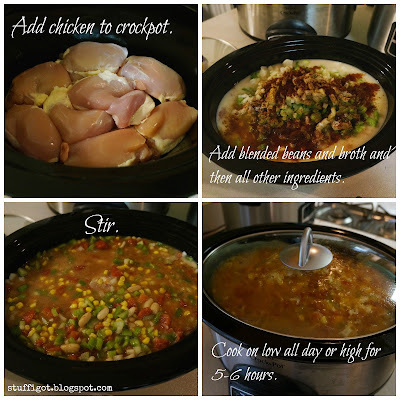 Mix all of the ingredients in a large bowl and chill for 1 hour so that flavors meld. 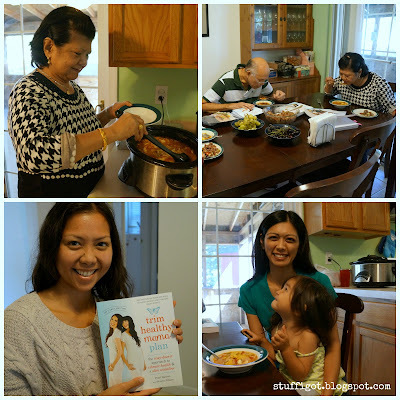 Overall, my family and I liked both recipes that we tried from the Trim Healthy Mama cookbook. They were very easy to make and tasted great. I'm looking forward to trying more recipes. The Trim Healthy Mama Plan and Trim Healthy Mama Cookbook are available for purchase now everywhere books are sold. 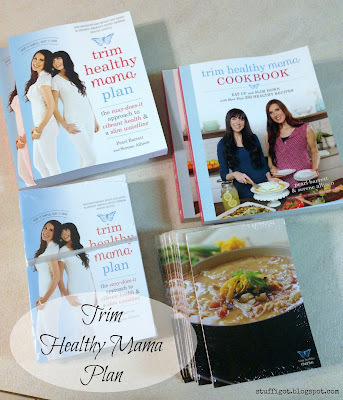 To find out more about Trim Healthy Mama, visit their website: http://trimhealthymama.com.